Wilway Stud was established by Ian & Helen Wilbraham in the mid 1970s. 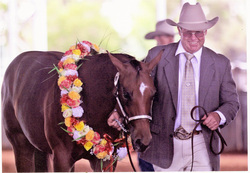 The aim has always been to breed versatile Appaloosas and Quarter Horses for Western Performance. Our successes first began with Appaloosas and we have delighted in watching the breed develop into the highly competitive Western Performance Horse that we see today. Over the years we have added Quarter Horses to our breeding program, and more recently to our Show Team. lovely mares, stallions and young stock available for sale. If you have an interest in any of our horses, please contact us by email or phone for current prices and information.